DLA’s Digital Fluencies Series investigates what it means to develop more critical facility and engagement with digital technologies. Meetings usually combine 1-3 readings (a link to materials will be provided when necessary) and a case study for hands-on exploration. Faculty, students, and staff at all levels of digital skill are welcome to attend. Our inaugural meeting focused on databases. Since databases undergird almost every digital project, platform, interface, and tool, but not all databases are alike, we asked how we might better understand what databases are—and what they can be—as core components of digital liberal arts scholarship. We also wanted to investigate how we might become more critically aware of database design’s history, logic, ethical questions, and potential for our scholarship, from research to teaching to working with students in other capacities. Data services librarian Ryan Clement offered a wonderful basic introduction to the difference between a flat file and relational database (slides) and we looked at readings by Katherine Hayles, Lev Manovich, and Christiane Paul, among others. A few tentative conclusions from our meeting. First, we are using databases almost all the time when we turn to digital tools, from WordPress to filling out a form online. So it is incumbent on us to at least be aware of their presence—and the implications of their presence—even if we do not become software engineers, database designers, or coders. This can help us be more critically fluent in terms of questions of data ethics (what should be shared publicly and what should not?) since databases store data and can provide or control various kinds of access (or restrictions to access). Second, sometimes we work with databases that arrive in more rigid form: licensed datasets and databases (a library catalog, BannerWeb) or applications that sit on top of databases (Adobe Premiere). If we and our students are more critically fluent with how the databases function within these out-of-the-box proprietary tools, we can sometimes find ways to use them or bend them toward our own ends or toward surprising new uses. Sometimes, you can tweak database tools even when they seem constraining at first. Third, research projects in digital liberal arts often start from scratch. Most typically in an Excel or Google Sheets flat file. Matthew Lincoln has lots of great things to say about this in a recent blog post, Matthew Lincoln, “Best Practices for Using Google Sheets in Your Data Project,” Matthew Lincoln, PhD Art History and Digital Research Blog, 26 March 2018. We noticed that there is an opportunity from the beginning of these research projects to think strategically about database design. We might start out by asking two key questions: what are the qualities of the data? And what does one wish to do with the data? These questions might drive database design (or choice of out-of-the-box database software). 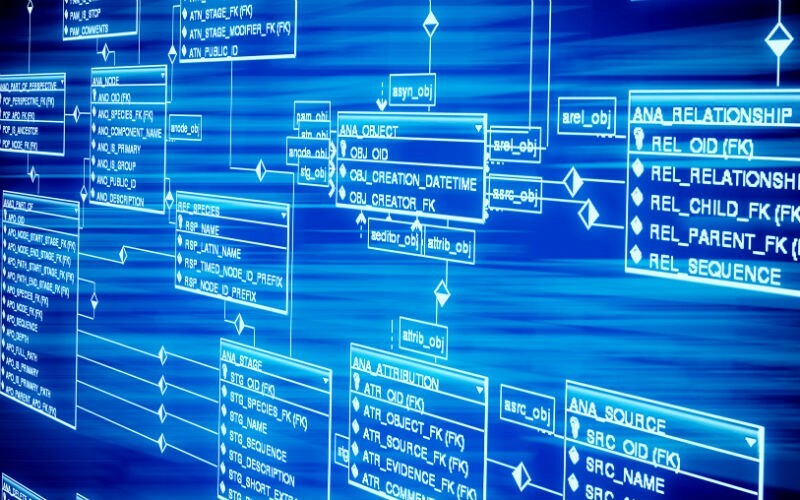 Database design arose historically out of pragmatic solutions to data management and analysis issues. We too can join that history by exploring what the qualities of our particular data are and what we are curious about trying to do with our data (look for patterns of connection; create tagged sequences of narrative; generate surprising patterns through computational processing that people might not detect; undergird and support publication; remix and resort by certain parameters; manage fluid data of students and their interests; and so on). Finally, we came up with three aspects of data worth thinking about: what are the particular units of data with which one is working (names, locations, dates)? What are the relations one is curious about exploring among data? And what are the sorts of operations one wishes to pursue with the data? We thank all participants for attending the event and starting to think about what it might mean to develop our and our students’ critical digital fluency when it comes to databases. Upcoming topics in the Digital Fluencies Series include: Algorithms, Bots, Data, Platforms, Archives, Gender in Code, Digital Racism, Open Access, Podcasting, Remix, Publishing and Peer Review, Animation, Glitching and Deformance Tactics, Memes, Web Design, the Template, Data Visualization, GIS and Spatial Data/Thinking, and User Experience. Feel free as well to suggest a topic. We welcome your attendance at this ongoing series! Co-sponsored by DLA, CTLR, Davis Library, and DLINQ. Organized by Leanne Galletly, User Experience & Digital Scholarship Librarian, and Michael J. Kramer, Assistant Professor of the Practice, Digital History/Humanities and Associate Director of the Digital Liberal Arts Initiative. Middlebury go link: go/digitalfluencies.